Posted in: Radio Control. Tagged: AKA, New Releases. The Double Play nut driver creatively lightens your toolbox by putting a 7mm and 5.5mm wrench in one! The 7mm driver fits metric wheel nuts found on most popular 1:10 buggies and short course trucks, while the 5mm driver is common for shock nuts and most nuts on metric 1:8 cars. 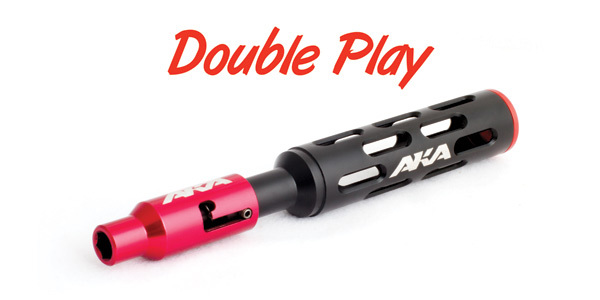 The machined aluminum handle and sleeve provides weight reduction over standard steel tools with the added durability of a hard anodized finish. The Chain Link is the latest addition to the AKA’s revolutionary 1:10 EVO line. 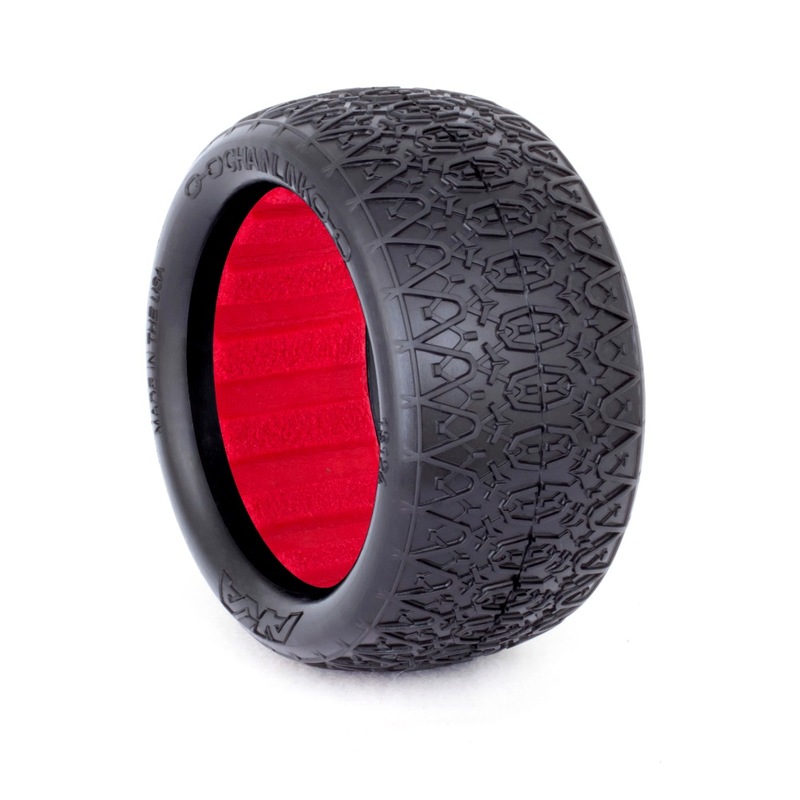 It features a bi-level, interlocking tread pattern that creates support for the tire’s carcass and treads. This addition support leads to consistency through corners and provides on-throttle stability. The Chain link has a perfect balance of forward drive and side bite which is ideal for hard packed or blue groove, indoor and outdoor tracks. Available in championship winning Clay, Super Soft, and Soft compound as tires with Red EVO inserts or pre mounted pairs on EVO wheels. As with all AKA tires, proudly designed and made in the USA.